People who struggle with anger might not always know the best way to tackle it. For some, taking a deep breath and counting to 10 is helpful. Others enjoy doing guided meditation or calming exercises. And some people … well, some people just need to yell. That’s what Lindsay Istace is trying to provide: an environment where people can work out their anger in a way that isn’t all about forcing themselves to be calm. That’s why she’s founded Rage Yoga. Yes, you heard that right: yoga classes where people can yell, scream, curse, and even drink. Yoga is usually considered a calming activity. In theory, people stretch, breathe, and meditate their way into a more peaceful mindset. But Istace wasn’t about that. She says that when it came to working through anger in her personal life, regular yoga wasn’t cutting it for her. 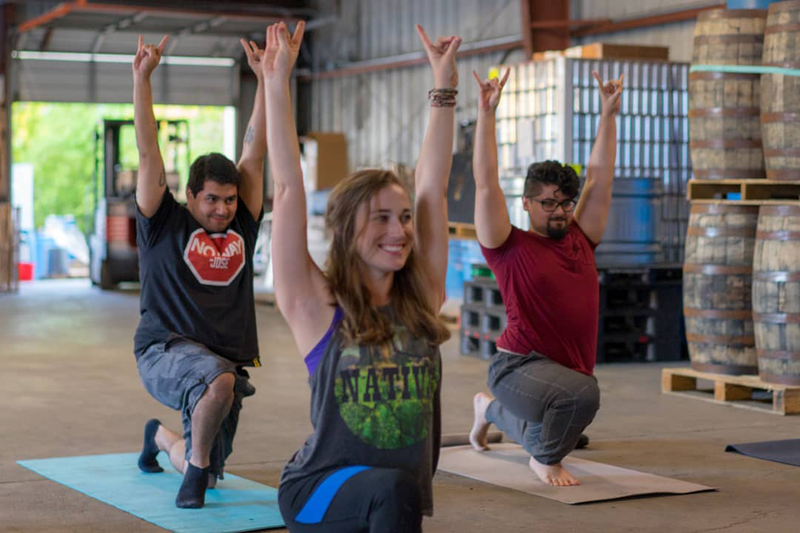 Now, Istace runs three Texas locations where yoga enthusiasts can come stretch and channel their rage. The Houston location is located in a brewery. Of course, that’s the necessary last step of rage yoga: a nice cold beer to wash those bad feelings and exercise sweat away. And just because it’s kind of funny doesn’t mean it’s not guided by professionals. Rage yoga instructors are required to have 200 hours of teaching experience before they can apply. Ashley Duzich is a rage yoga teacher at Brash Brewery. She thinks yoga is the perfect outlet to channel anger and find some relief. Duzich says that rage yoga helps people get their anger out, whatever the cause may be, in a supportive environment. In Duzich’s rage yoga sessions, participants get the opportunity to scream about all the things that have been boiling away inside. “One of the funniest things I think I ever heard was, ‘I told you to do the dishes,’” said Duzich. And Istace and the instructors definitely approach the subject with a lot of humor.